Freezer Cabinet - G.A. 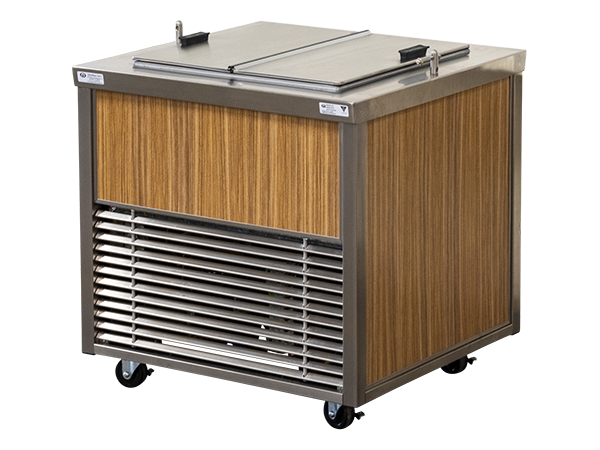 Systems, Inc.
“Speedee-Serv®” Speedline Freezer Cabinets are designed to safely hold, display and serve prepackaged food items at required temperature. One stainless steel bi-fold removable lid is provided. As with all “Speedee-Serv®” Speedline cabinets the Freezer cabinet will connect with other G.A. Systems speedline cabinets within the same speedline. 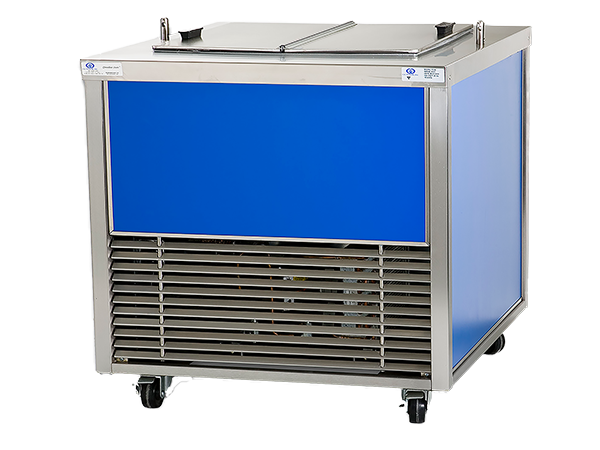 “Speedee-Serv®” Freezer Cabinets with controllers are designed to maintain temperatures between 0° to -10°. The adjustable dial controller is located behind the louver panel. To defrost, unplug the Freezer, remove the drain cap from the drain hose and place a pan under the drain to capture the water run-off. 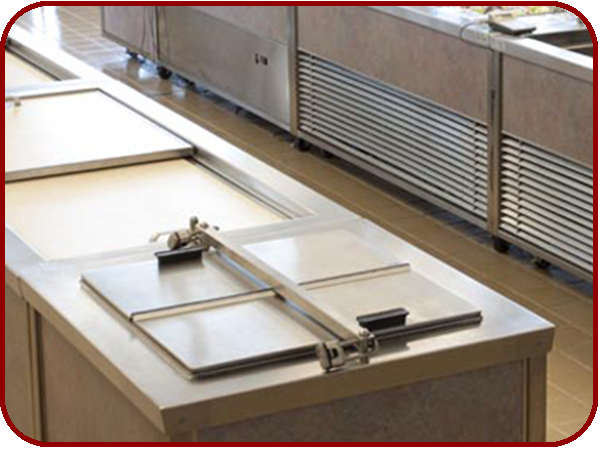 The stainless steel bifold lift off lid provides you the option of either removing the lid or leaving the lid opened on one side during serving. A locking bar is included to secure Freezer cabinet and contents when not serving.